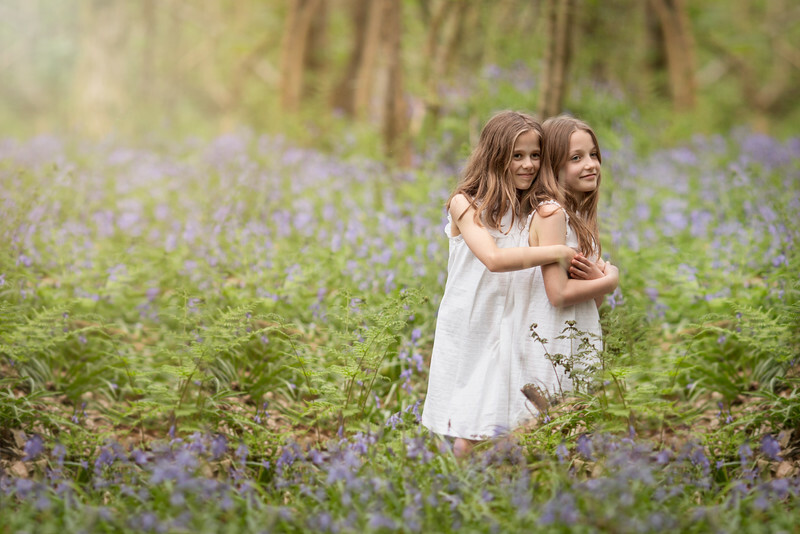 Bluebells, bluebells, bluebells! 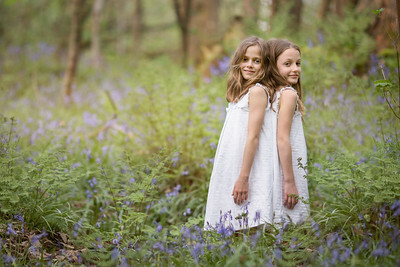 Every year, this wonderful, quintessentially British spectacle wows us for a very fleeting couple of weeks. 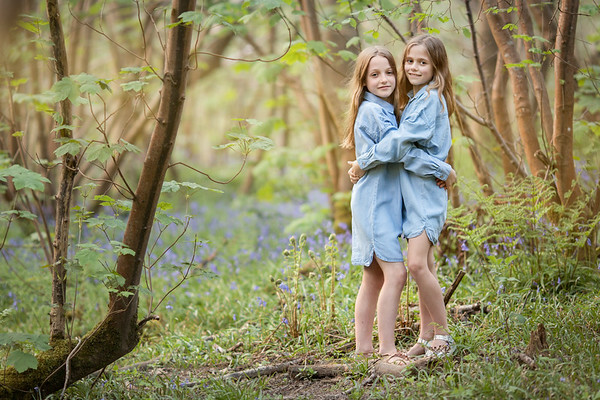 The short days of winter are receding and there is finally a hint of warmth in the sun. 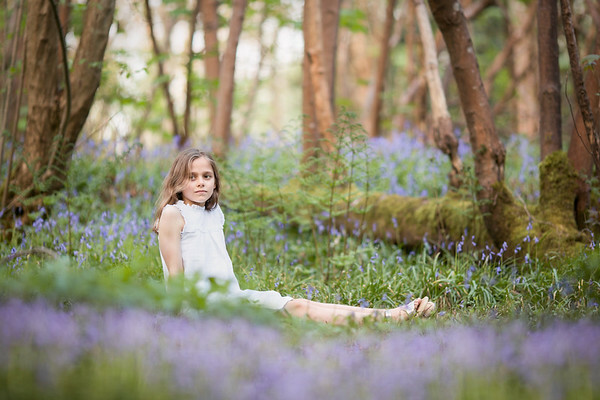 Then suddenly, like a cleansing breath of fresh air, woodland floors all over the country are carpeted in a mesmerizing blanket of rich blue hues which are impossible not to wonder at and drink in - a dangerous past time whilst driving through the country lanes of Kent & East Sussex! 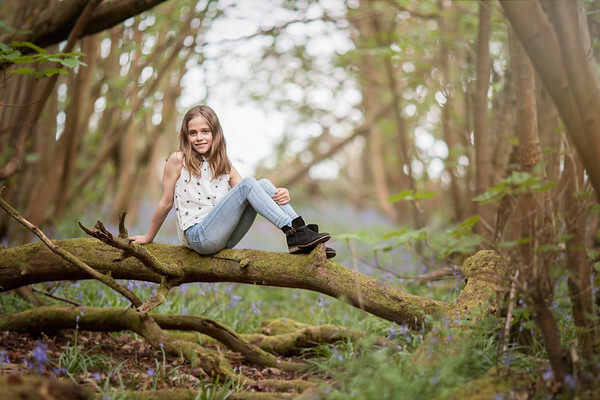 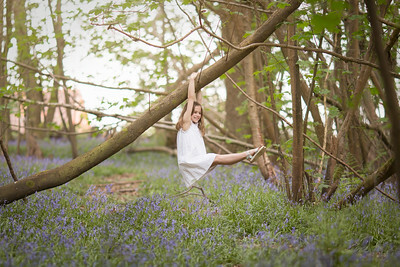 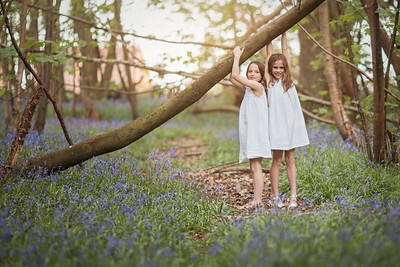 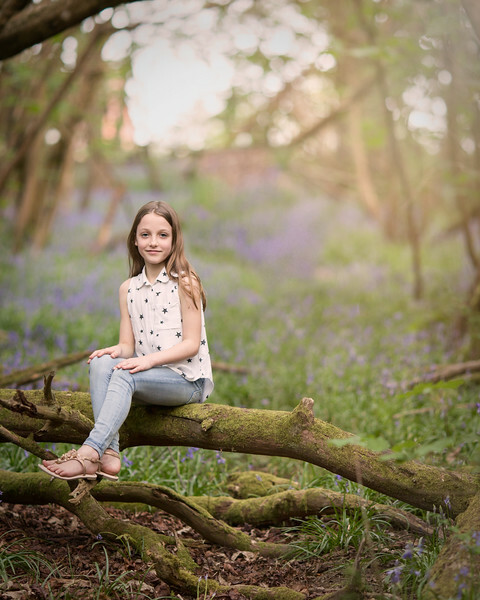 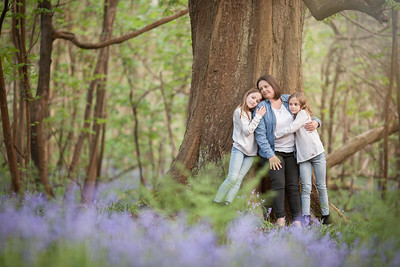 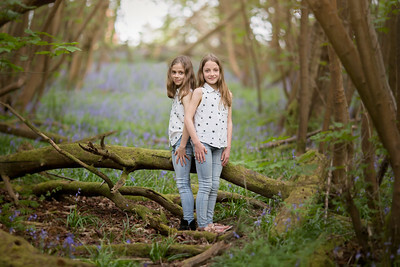 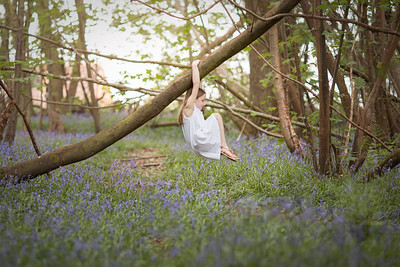 One recent beautiful spring evening, Evie and Grace agreed to be my models and so we all headed for a quiet bluebell wood just outside Tunbridge Wells. 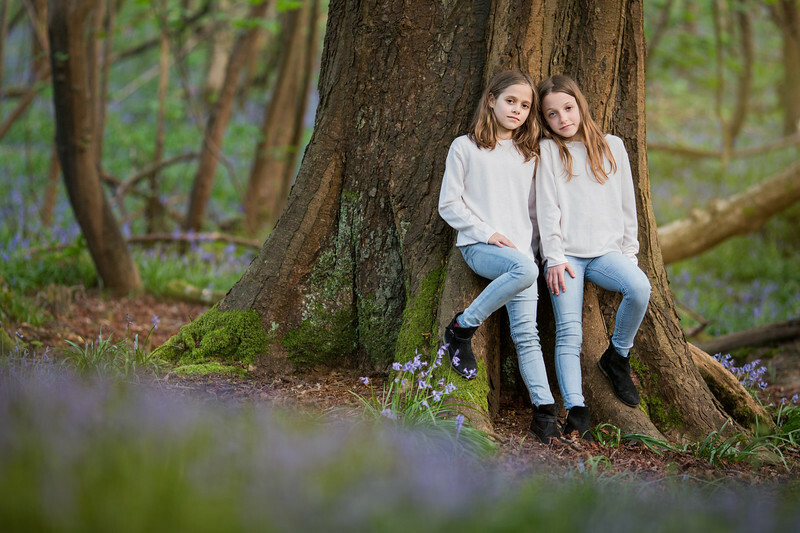 We had a few different outfits to try out and we had a really fun time balancing on branches, sitting serenely and enjoying the peace and tranquility of the woods that we had all to ourselves. 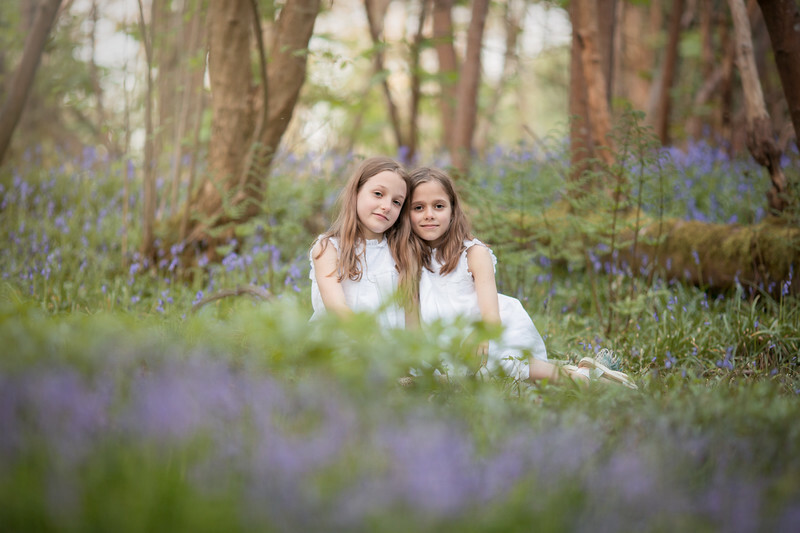 If you would like to book a bluebell shoot before the end of the 2018 season, I do have some limited availability for sessions, so please do get in touch as soon as possible to avoid disappointment.